The premium fee for the age group 6 to 40 is K44000, age of 41 to 50 is K49500, age of 51 to 60 is K71500, age of 61 to 65 is K93500 for one year. The rate of basic protection is for two units. The people can choose as insurance protection (1) for operations and abortion, insurance protection (2) for cancerous tumour, coronary thrombosis and paralytic stroke. In addition for basic insurance an individual can buy a maximum of 8 units. King Food Group Co, owned by the Mahagitsiri family plans to penetrate the food market in Cambodia, Laos, Myanmar and Vietnam (CLMV) to cash on rising demand from middle-income people in the region. The Indian Railways will export 18 modern diesel locomotives to Myanmar soon. Planning and finance deputy minister U Maung Maung Win said that for a wage increase a review would have to be done and all aspects considered. “At present we have no such plans but we will look into the welfare of government servants,” he told the Pyithu Hluttaw on May 25. The second phase of a project to help street children by Mandalay Region Department of Social Welfare (DSW) will be launched in June. China can continue to bring “soft power” to Myanmar’s peace process, Chinese experts said, as the Panglong peace conference began on Wednesday. A former doctor of the Police Hospital who escaped death sentence for the killing of a couple of Burmese migrant workers to Myanmar since 2009 was sent back to Thailand on Thursday. Myanmar authorities have detained a Turkish family and are trying to deport them to Turkey, where activists fear they will face persecution for alleged links to a preacher accused of trying to overthrow the government. 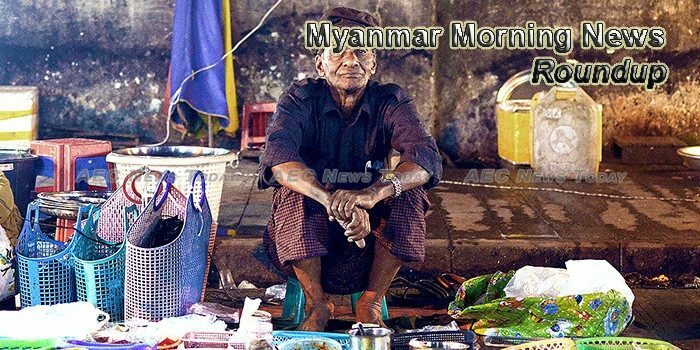 Frailty and health among the elderly in Myanmar have been some of the poorest in Southeast Asia. News organisations in Myanmar continue to ignore women’s voices in their reporting – something that only perpetuates exclusion from the public sphere. The Department of Urban and Housing Development will implement a housing project with more than 10,000 apartments in Mandalay this fiscal year. It also obtained permission for this from the Union government and regional government, said U Aung Naing Oo, director of that department on May 22.